Born in Niagra Falls, New York, Crissy was introduced to music by the way of a Jerry Lewis Telethon when she was four. There, she performed a heartfelt rendition of "Jesus Loves The Little Children." Realizing her ability to capture an audience, she later went on to establish a singing group with her sister, followed by a quartet that included her aunt, aptly entitled The Collins Sisters and The Collins Sisters & Company, respectfully. As the Collings sisters travels the US they not only got to go places they never imagined going, they also encountered a multitude of people that would later help them in their search for stardom. This experience ultimately afforded Crissy the opportunity to sing background for legendary Gospel and R&B artists like Luther Vandross, Kelly Price, Glenn Jones, Lil G of Silk, and Dorothy Norwood. Crissy was also featured on Edwin Hawkins' Its Church Time CD. Crissy has toured with Tyler Perry's Madea Goes to Jail as the incarcerated Chico where she became well known for singing "Yes, Jesus Loves Me/Even Me". She also received a small role (and received credits for and singing on the movie soundtrack in) the box office mega-hit Diary of a Mad Black Woman (Lions Gate Films), and Madea's Family Reunion and sang background for Beyonce Knowles (The Beyonce Experience Tour-2007). 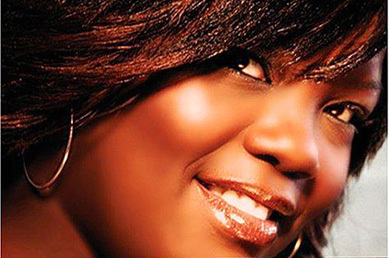 Crissy released her debut album, Faith in Progress in March of 2007. As an inspirational recording artist that writes and sings songs that speaks to the heart of the listener, this is definitely an album worth checking into.